An engaging way to learn spelling words. 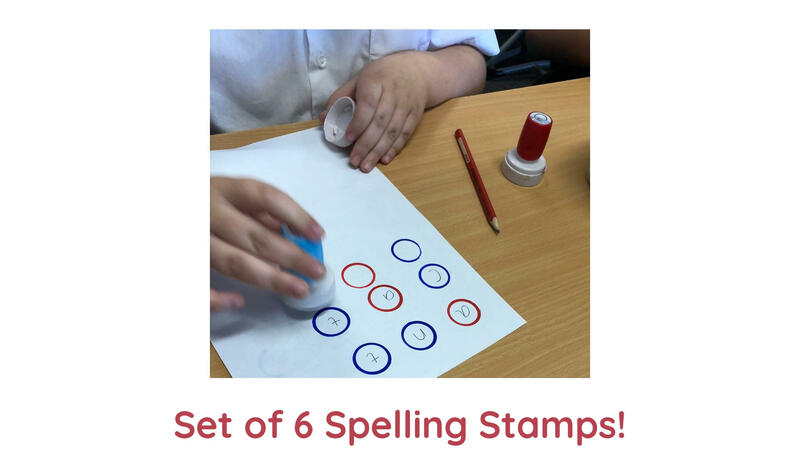 Spelling stamps provide a learning experience that children love! Multisensory and sustainable - our stamps are refillable! As students sound out a word, they stamp a circle for each sound they hear and then write the spelling patterns inside the circle. Great for small group work. It's a powerful way to understand spelling concepts like digraphs, when you write 2 letters that make one sound together in the one circle! *Free gift of a set of ink refills (one of each colour) for each set when you order multiple sets! Every school should absolutely have Michelle come to their school. Her passion, knowledge and practical approach has been enlightening. Our entire team cannot wait to finally tackle spelling with confidence and consistency!